After watching Jenny's Jelly Roll Race video, I knew I had to try one but I made a minor modification. I cut each strip in to two pieces of a different length. 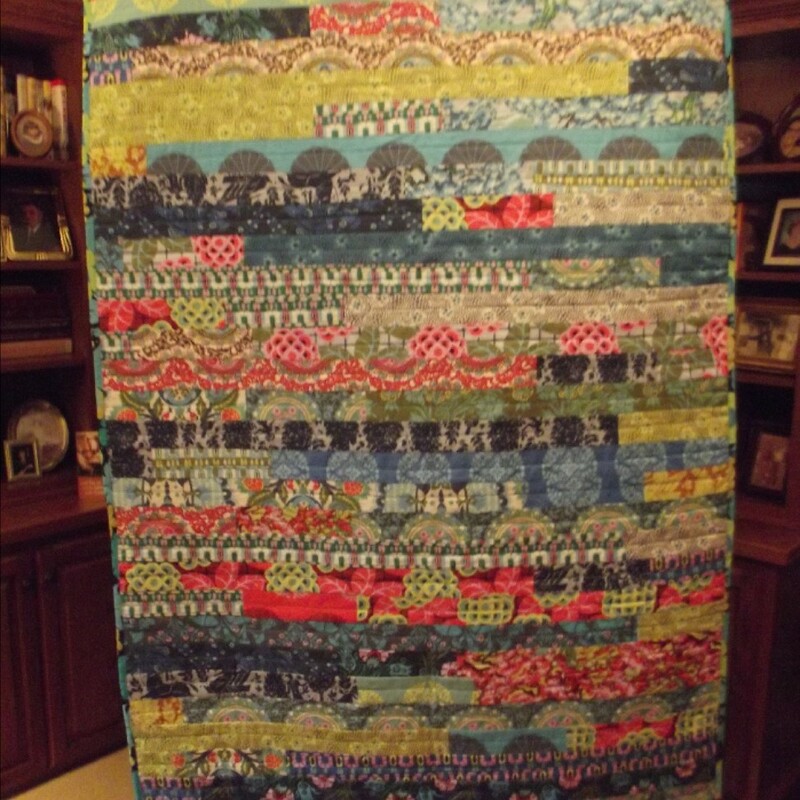 I didn't measure just grabbed and cut then sewed them all together in one long strip and continued on as for a regular jelly roll race quilt. This was a gift for my oldest daughter who had moved to Texas. She loved it and I hoped it would make her feel I was with her.